Located at an altitude of 6000ft (2000m) in the state of Uttarakhand, Mussoorie is well known as the Queen of Hills. Due to the presence of lush green hills and a variety of flora and fauna, Mussoorie is considered as the topmost honeymoon destination by couples all over the India. You can get yourself relieved from the heat of plains here. The town is also called as paradise of India by some locals as the place is famous for its spectacular beauty & chaotic life. Tourism in Mussoorie is the main stream of income for locals & government here. 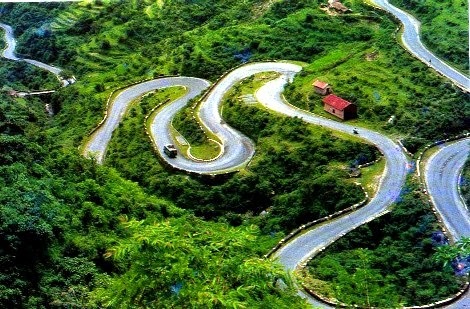 Mussoorie is situated at a distance of 29km from Dehradun and 267.7 km from Delhi. By Air: The nearest national airport to Mussoorie is Jollygrant Airport which is just 24kms far away from Dehradun. Indira Gandhi International airport, New Delhi is the nearest International airport. However, there are no direct flights from New Delhi to Mussoorie. You can take a connecting flight from Delhi to Jollygrant airport. From there, taxis are available. 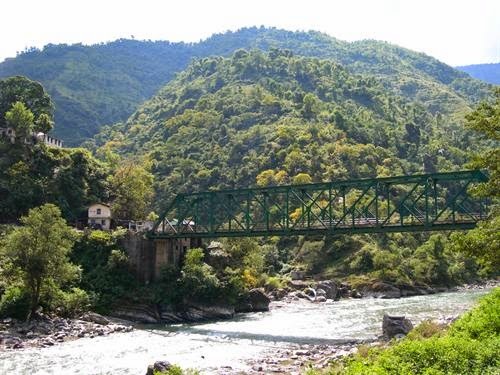 By Train: There is no direct train from Delhi to Mussoorie but there are a great number of trains from Delhi to Dehradun like Jan Shatabdi Express & Shatabdi Express, the Mussoorie Express. It takes 5.5 hours approx. to reach from Delhi to Dehradun. From Dehradun Railway station, you will get taxis and buses directly to Mussoorie. By Road: Mussoorie is well connected with major cities like Delhi, Dehradun, Haridwar via bus service because of its popularity as a famous hill station. You can get a bus directly from Delhi to Mussoorie or from Delhi to Dehradun, then Dehradun to Mussoorie. Most of the bus services are provided by the state transport. You can also hire private tour operators to get you there. According to the changing climatic conditions in the town, best time to visit here is from September to June. In winters (October to February), you can also experience mild snowfalls with freezing weather. Sometimes, the highways also get blocked because of the heavy snowfall. So, be prepared with all the warm clothes in your backpack. In summers (March to June), climate is a bit warm (37°C approx.). You can experience some great adventurous activities in summer. In monsoons (July to August), travel to the town is less preferable because of the frequent landslides and roads blockage makes it difficult for travelers. 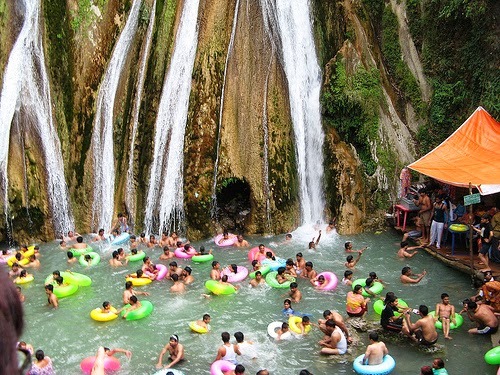 Kempty Falls: It is one of the most fascinating and the biggest water falls in the town. Selected as one of the most enjoyable spot by tourists, Kempty falls will make your trip worth each penny. 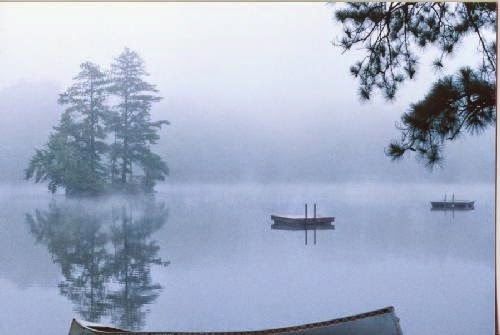 Lake Mist: Located 5kms before Kempty falls, it has a variety of adventure sports like boating, trekking. You can get easy accommodations here. Camel’s back road: You can enjoy horse riding as well as long peaceful walks with your beloved ones or solely. 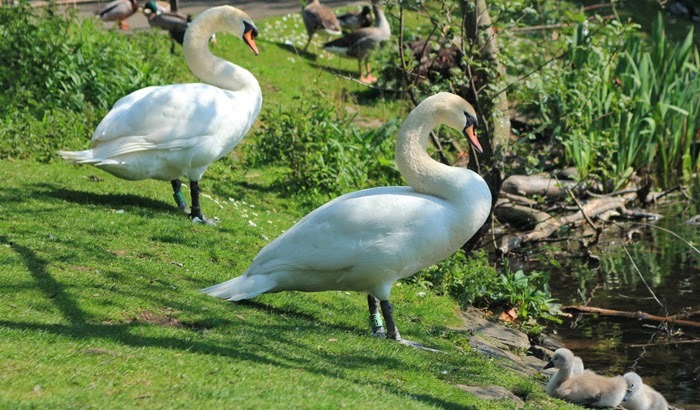 It will provide you spiritual experience because of its scenic beauty & closeness to nature. 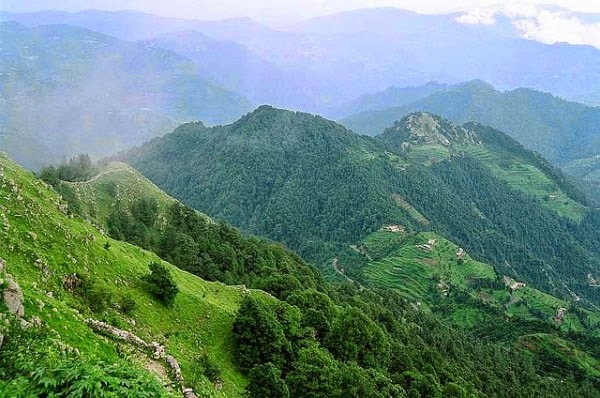 Nagtibba: Located about 34 km away from Mussoorie one reaches Thatyur. Moving 7 Kms further, you will reach Devalsari & then a 14km breathtaking trek is awaiting for you. Yamuna Bridge: A perfect place for fishing. 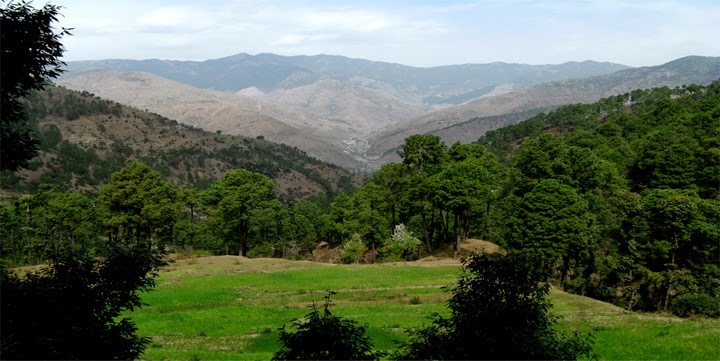 It is located 27 kms on Chakrata-Barkot road. Vinog Mountain Quail Sanctuary: This sanctuary was entrenched in 1993 & it covers a wide area of 339 hectares. You can see a variety of bird species, Mountain Quail(Pahari Bater) & many other animals. 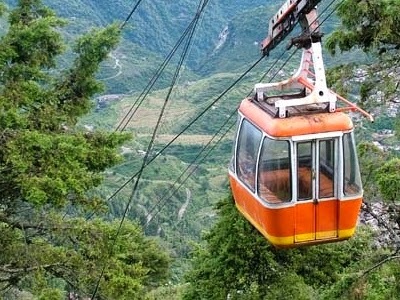 Cable ride: Experience the cable ride to the second highest peak in Mussoorie. The views from the top are astonishing. 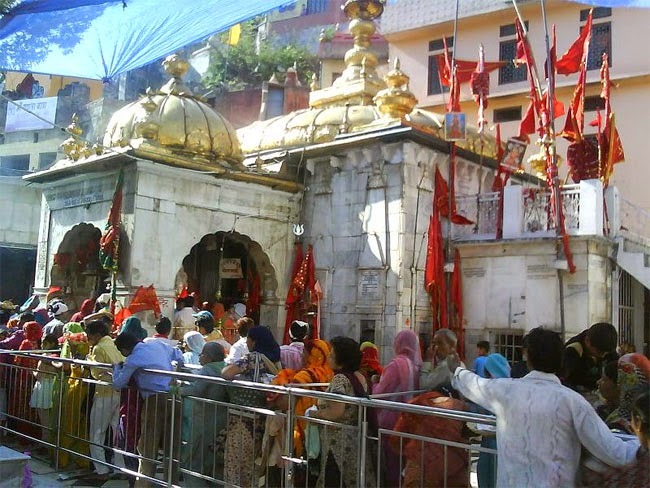 Jwala Ji Temple: Located at the top of Benog hill with the presence of deity of Mata Durga(Indian Goddess). At one hand, you can have spiritual experience in the temple and on another hand, temple offers you stunning views of mother nature. 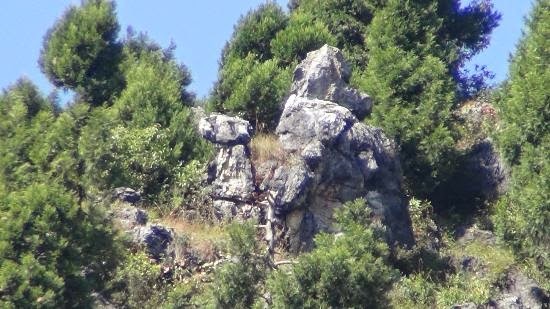 A very good post with amazing pictures. Thanks for sharing the information about Dehradun. Hurry! New Year domestic Flight Deals and offers. Grab now. Book your flight tickets now and get Upto ₹ 2,000 off* on dehradun to new delhi flights. Mussoorie, being a prominent traveler goal has a platter from various cooking styles to offer. Hans Travels provides various options for your JollyGrant Airports Taxi/ Cabs requirements. Easy Cabs by offering flat rates with bill facility for within Haridwar localities. We provides reasonable rate options for Toyota Innova Ac and Indigo Ac. Hans Travels provides various options for your JollyGrant Airports Taxi/Cabs requirements. Cabs by offering flat rates with bill facility for within Haridwar localities. We provides reasonable rate options for Toyota Innova Ac and Indigo Ac. Haridwar Delhi Taxi Service in Best Service. We provides a comparative option to Taxi Cabs & Easy Cabs by offering flat rates with bill facility for within Haridwar localities. We provides reasonable rate options for Toyota Innova Ac and Indigo Ac. very nice and well written post about Mussoorie. Thanks for sharing this post in this blog. Love to visit this places during vacation. If anyone wants to travel this place by bus then book bus tickets in advance to enjoy the trip. Amazing pictures and very interesting article..... Very interesting post, we enjoyed each and everything as per written in your post. Thank you for this article because it’s really informative. Bharat taxi is one of the leading taxi and cab service provider in all over India..
We are top travel company and best travel agent in mussoorie. Book mussoorie tour package, top travel agent in mussoorie, tour operators in mussoorie. thnkx for sharing with us this information.It really such a wonderful plcae to visit and as we live in uttarakhand so we should prmote it for tourism .I refer you all to get the mussoorie adventure tour or holiday package with http://www.aaochale.com/Mussoorie-tour-packages.html . Very nice info given in this blog. We are Tour and Travel Company in RISHIKESH-Haridwar . We always provide excellent travel service and our focus is on the customer.Along with this,Chardham Darshan also offers you the Wildlife package,Pilgrimage package,Rafting. We organize chardham tours, sightseeing trips, adventure tours, all within your specific budget, taking you to some of the most exotic travel destinations.Our Best Packages Chardham Package,Chardham Helicopter Package. Very nice! You can get easy, comfortable and inexpensive taxi services with professional drivers in all over India. Visitors can rent a car for airport transfer, railway transfer, hotel transfer and for local & outstation visit of the cities in India. In Mussoorie, You can get Taxi Services for worth visiting at a very low amount. For more details visit our sites:https://www.bharattaxi.com/Mussoorie. Thanks for sharing content and such nice information for me. I hope you will share some more content about. travel tips to mussoorie please keep sharing! Sahil Dhingra. Picture Window theme. Powered by Blogger.